It may not be as famous as Bruges, Antwerp or Brussels, but the historic city of Ghent is well worth visiting while you’re in Belgium. This quirky medieval city has a fairytale castle and picturesque waterways, along with vibrant student arts and nightlife, and a sustainable, vegetarian-friendly culinary scene. According to Vogue magazine, Ghent is ‘arguably one of Europe’s best-kept secrets‘. After over a year of travelling the world, I now live in Belgium and I’m lucky that this beautiful place is on my doorstep. It’s one of my favourite places to visit. There are plenty of things to do in Ghent, even if you spend one day in the city. 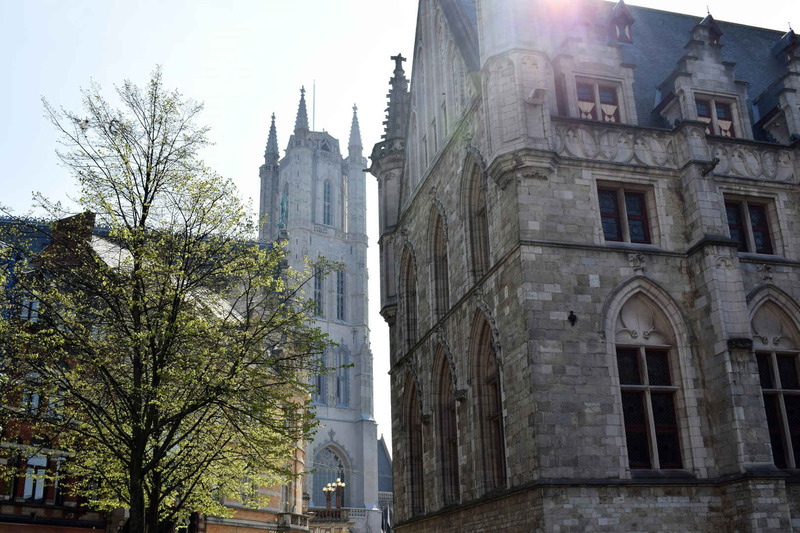 Here are my top travel tips for a gorgeous Ghent day trip. So, where is Ghent? It’s located in the north west of Belgium, making it easily accessible from the Netherlands, France and the United Kingdom. 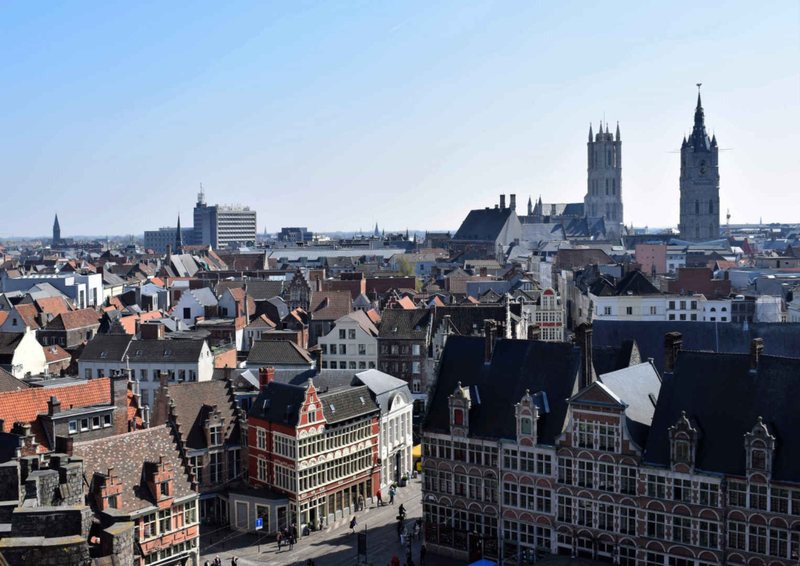 Ghent is the capital of East Flanders, one of the country’s Flemish regions. That means Dutch is the local language, but French and English are also widely spoken here. The nearest airport to the town of Ghent is Brussels Airport (BRU) in Zavantem, north east Brussels. Many people will arrive into Belgium’s capital city via the plentiful cheap international bus and train services, including the Eurostar. Visiting Ghent by car is easy, as Brussels to Ghent is just a 50 minute drive. If you’re driving to Ghent, be aware that the signs may show different spellings: in Flemish it’s Gent, while in French it’s Gand. 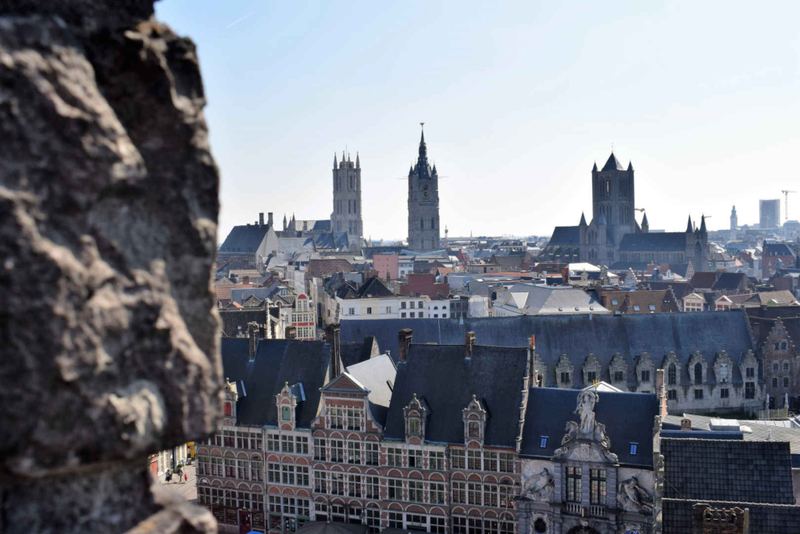 It’s easy to travel to Ghent by train from Brussels, Bruges and Antwerp. You can find schedules and book tickets online here. However, it’s fine to buy your tickets at the train station on the morning you want to travel. 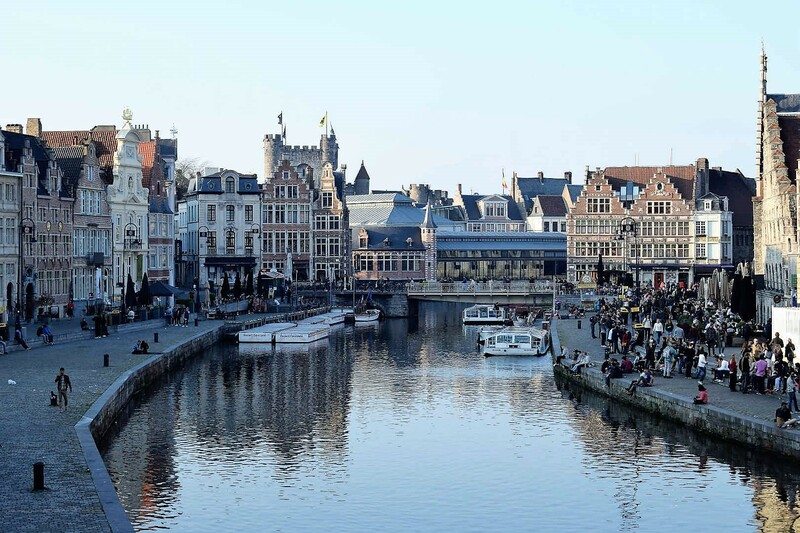 Ghent is only 30 – 45 minutes from Brussels-South train station in Brussels, known as Gare du Midi in French. Tickets are priced from €9.30 one way. Flixbus operates buses between Brussels and Ghent from just €5 and take an hour. Bruges is also not far away, so it’s definitely possible to see Bruges and Ghent in one day. Allow a 50 minute drive or half an hour by train. Trains between Bruges and Ghent are priced from just €6.80. Meanwhile, trains from Antwerp to Ghent take around an hour and cost around €10. My top tip for if you only have one day in Ghent is to make your way to the city’s tourist information office, just next to the castle in the corner of Sint-Veerleplein square. There you can speak to the friendly advisers about what to see in the city and buy a CityCard Gent. 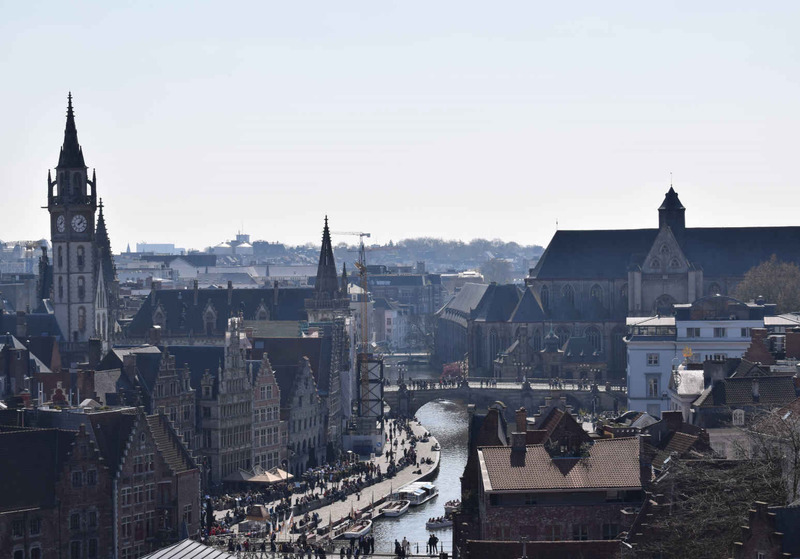 This little gem gives you a handy Ghent tourist map, as well as a travel guide on what to do in Ghent and fantastic discounts on your day’s sightseeing. 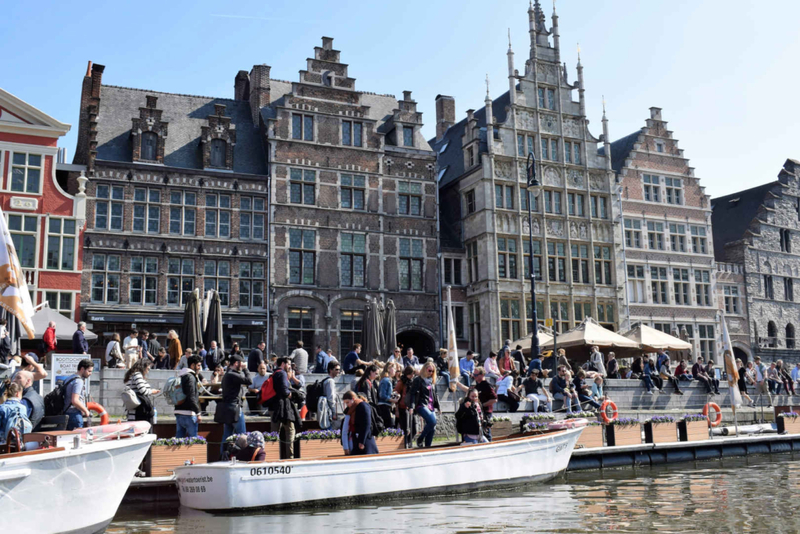 Priced from €30, it allows you to travel for free on the trams, buses and water tram in Ghent city centre. You can also have free bicycle rental for one day and one guided tour by boat. 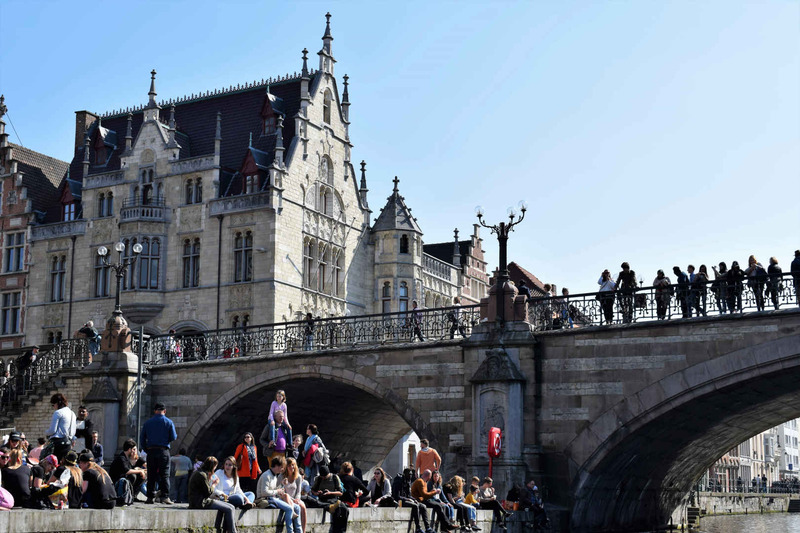 Along with free access to all the tourist attractions, monuments and museums, it’s a convenient all-in deal for your Ghent day trip. 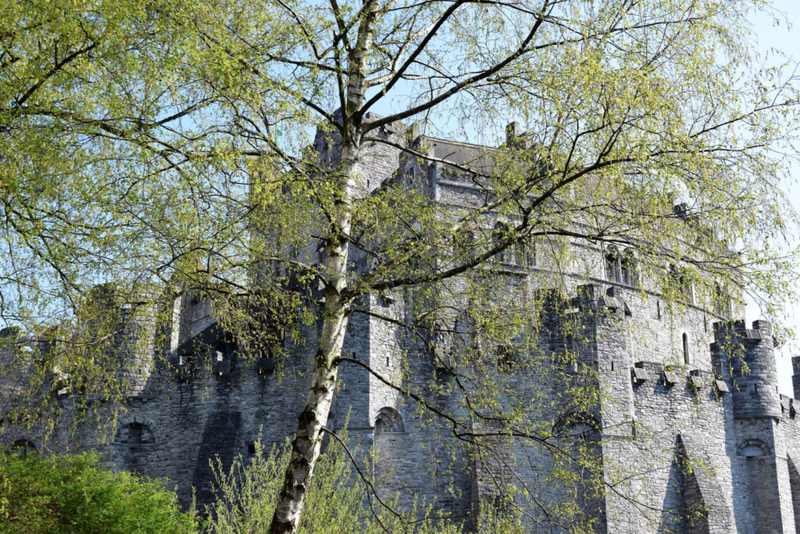 The impressive medieval castle next to the tourist information centre is one of the must-see places to visit in Ghent. Gravensteen, also known as the Castle of the Counts, was built in 1180 the 12th Century for Philip of Alsace, the Count of Flanders. 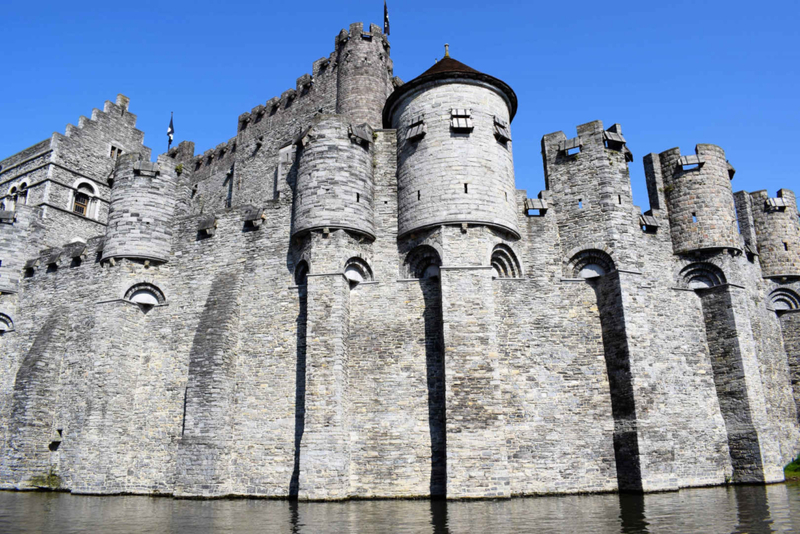 The fortified Gravensteen castle with its turrets and large moat, fed with water from the nearby Lys river, housed the powerful Counts of Flanders for almost two centuries. 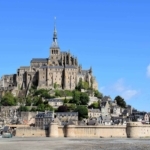 It has recently been restored as a tourist attraction and landmark historical monument. Inside you will find an exhibition of gory medieval torture devices called the Museum of Judicial Objects and a showcase of suits of armour and weapons in the Arms Museum. From the top, you will enjoy wonderful views across the city. Over the summer period (1 April – 31 October), the castle is open every day from 10am to 6pm. Over the winter (1 November – 31 March), it’s open every day from 9am to 5pm, except when it’s closed for the holidays on the 24, 25 and 3 December and 1st January. Tickets are available until 45 minutes before closing time. Tickets are priced at €10 for adults but only €6 for under 25s. It’s free if you’re under 19 or with the CityCard Gent. Ten minutes walk from the castle, over the river at Sint-Baafsplein square is Saint Bavo’s Cathedral (Sint-Baafskathedraal in Dutch). At 89 metres tall, it dominates the city skyline and is undoubtedly one of the most important places to see in Ghent. Construction started on this site back in 942 and the resulting Gothic cathedral is named after Bavo, the patron saint of Ghent. 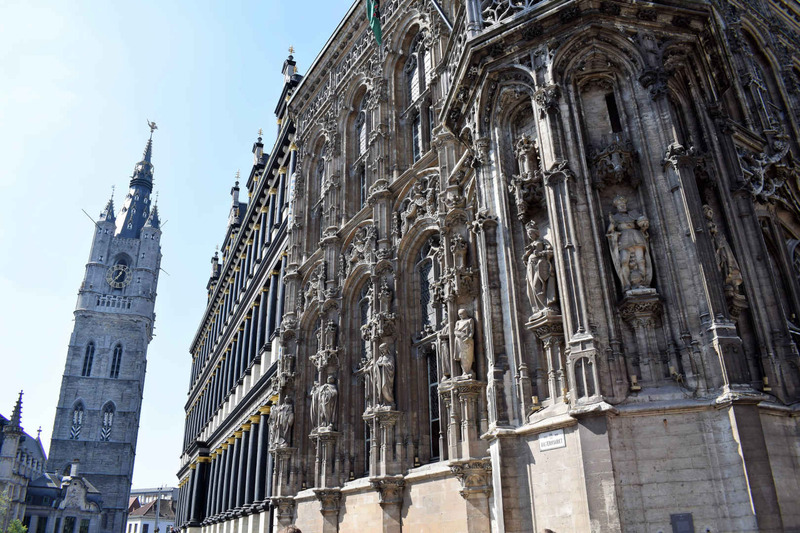 The cathedral is home to the Ghent Altarpiece, a large religious artwork known as the Adoration of the Mystic Lamb, which is considered an artistic masterpiece and a world treasure. This intricate, multi-panelled altarpiece was created in the 15th century by Jan van Eyck and his brother Hubert. Van Eyck was an Early Flemish painter and an influential Early Northern Renaissance artist. One of the most important artworks in European history, the Adoration of the Mystic Lamb represented a move away from the idealisation of traditional medieval art to the precise naturalism and realism for which Jan van Eyck became revered. The altarpiece has folding wings, each with inner and outer panel paintings. The 18 panels depict Jesus, Mary, John the Baptist, angels playing music, a naked Adam and Eve, as well as saints, sinners, clergy and soldiers gathering to worship the Lamb of God, overseen by the dove of the Holy Spirit. Following the French Revolution, the altarpiece was taken to Paris and exhibited at the Louvre. The French defeat at the Battle of Waterloo saw its return to Ghent. Subsequently, the painting’s panels and wings were separated and stored by different art collectors across Europe, notably in Germany, which was forced to return its sections after World War I. Adolf Hitler ordered the painting to be seized and brought to Germany, where it was hidden in a salt mine during World War II. After the war, the altarpiece was recovered and returned to Belgium in a high profile media ceremony at the Royal Palace of Brussels, hosted by the Belgian royalty. French officials were not invited as a result of their government’s role in allowing the Germans to remove the painting. A visit to the Saint Bavo’s Cathedral to see this impressive painting with its intriguing past is possible any day except for New Year’s Day. The opening times are 8.30am to 6pm, except for Sundays when it opens at at 10am. From 1 November until 31 March, the cathedral closes at 5pm every day. Last entry to see the Adoration of the Mystic Lamb is 15 minutes before closing. Every day from midday to 1pm, the outside panels of the altarpiece are closed, so you can see the restored outer paintings. Entry to the cathedral is free. Tickets to see the altarpiece are priced at €4 and include an audio guide, but it’s free with the City Card. One of the best things to do in Ghent is to hop on a boat and take a guided tour of the city’s canals. Several companies offer historic Ghent canal boat tours for a unique perspective on the city and its stories. 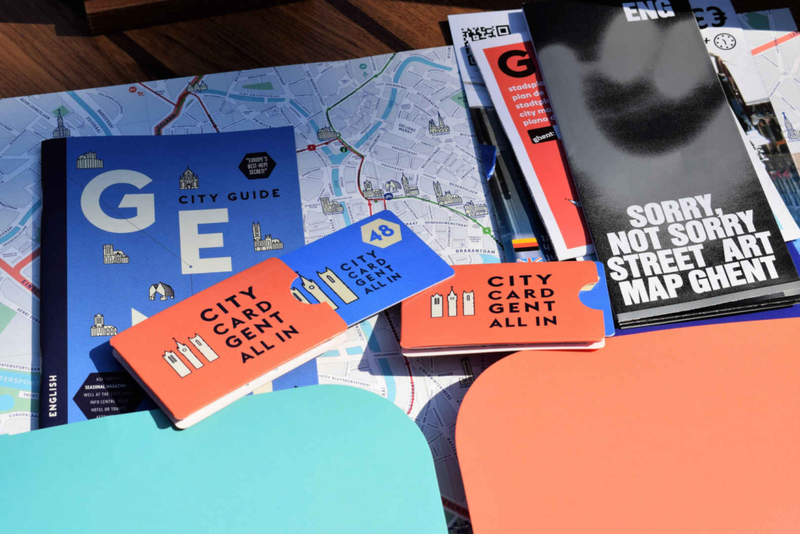 The tour guide will take you on a 40-minute round trip, showing you parts of the city you can’t see from the streets and divulging its fascinating history. Ghent canal tours cost around €7 per person or free with CityCard Gent. They run every day except public holidays and don’t need to be booked in advance, though you may have to wait for an available slot. 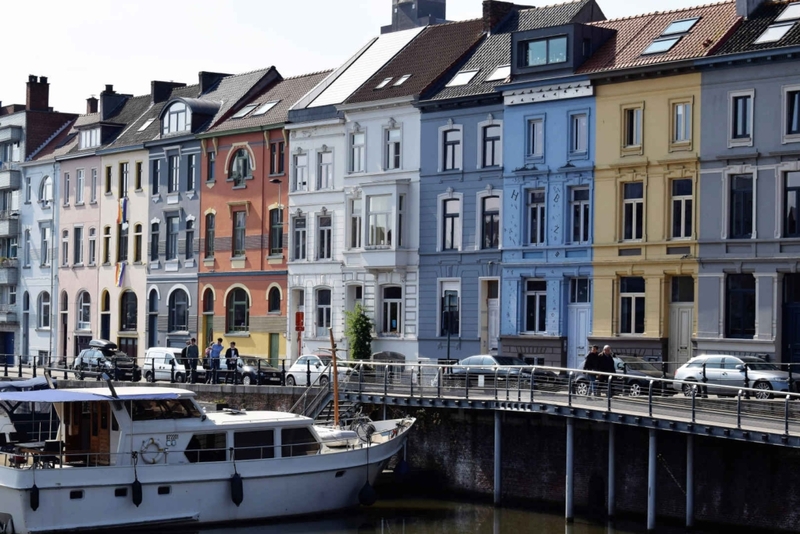 The departure point for boat tours is the Graslei quay on the river Lys (map pinpoint here), where you can see more examples of Ghent’s delightful architecture. 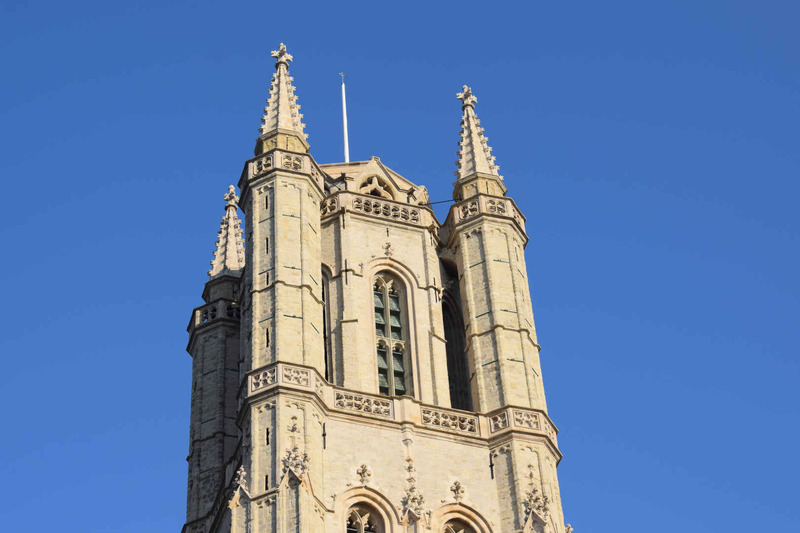 If you have time in your itinerary, a climb to the top of the Ghent Belfry is one of the most rewarding things to do in the city. 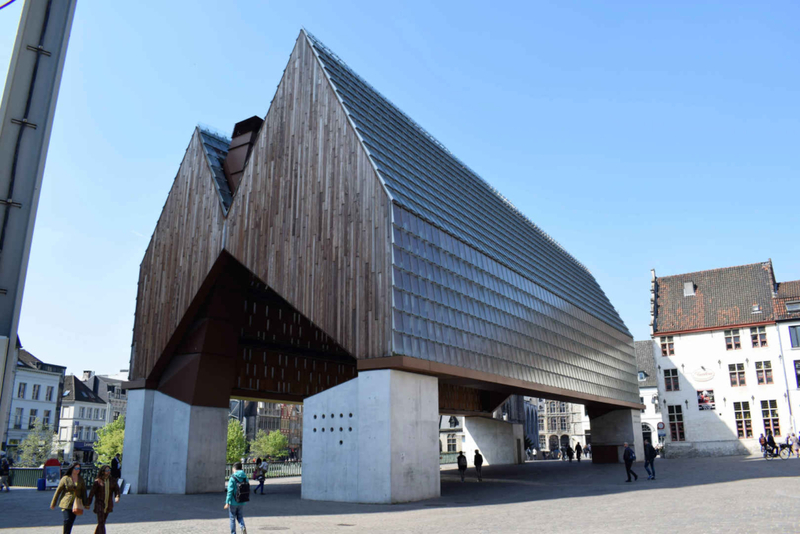 This 91-metre, UNESCO-listed building is in the heart of Ghent old town. Built in 1313, over the centuries it served as both a bell tower and a fortified watchtower, as well as housing local government legal documents. Perched on top of the spire is a large gilded copper dragon, a fierce mascot of Ghent who stands guard. This is Belgium’s tallest belfry tower and the views from the top are impressive. 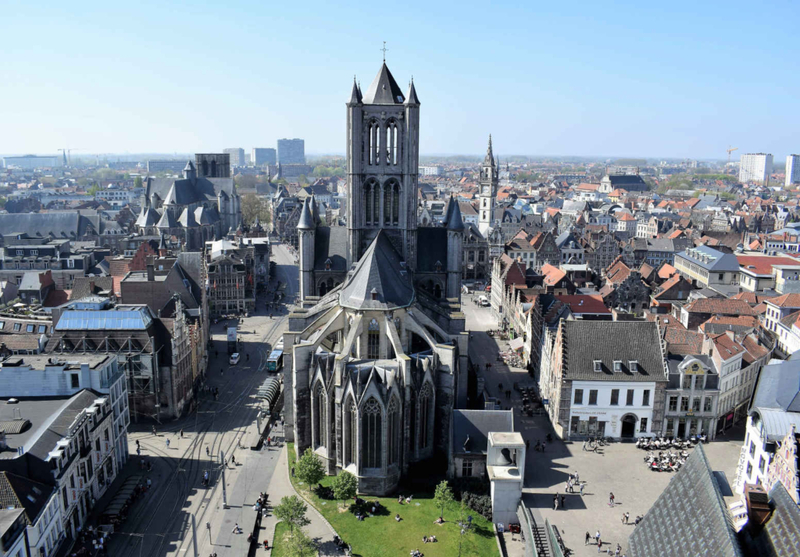 The Belfry of Ghent is open every day from 10am to 6pm, except for major public holidays. Entry is €8, or free with the City Card. St Michael’s Bridge, built in 1910, is another lovely spot to stand and gaze at Ghent’s pretty architecture and down the river Lys. Saint Nicholas Church is the third of the city’s three most prominent medieval towers and another one of the best places to visit in Ghent. Inside this 13th century late Gothic church is a huge pipe organ, built by the famous French organ builder Aristide Cavaillé-Coll. After all that sightseeing, you’re bound to work up an appetite. A tasty local dish to try is waterzooi. This is a traditional Flemish stew, originally from Ghent, made with fish or chicken and vegetables in a cream and herb sauce. Mosquito Coast is one of the best restaurants in Ghent for travel lovers. This quirky cafe is full of global travel souvenirs and photos – plenty to inspire you while you’re tucking into some waterzooi or one of their international dishes. If you are vegetarian, don’t worry because Ghent is known as a vegetarian capital of Europe. Every Thursday, the city promotes a meat-free day and there are plenty of vegetarian and vegan restaurants. Try the all-you-can-eat vegan buffet Komkommertidj (Cucumber Time) or Le Botaniste, a plant-based organic food and wine bar. Being in Belgium, you have to try the famous local beer! One of the best bars in Ghent is Dulle Griet, where you can peruse their menu of over 500 different beers and choose from the best beer in Ghent! If it’s summer, why not do as the students do and grab a drink from a bar or shop and sit by the canal. 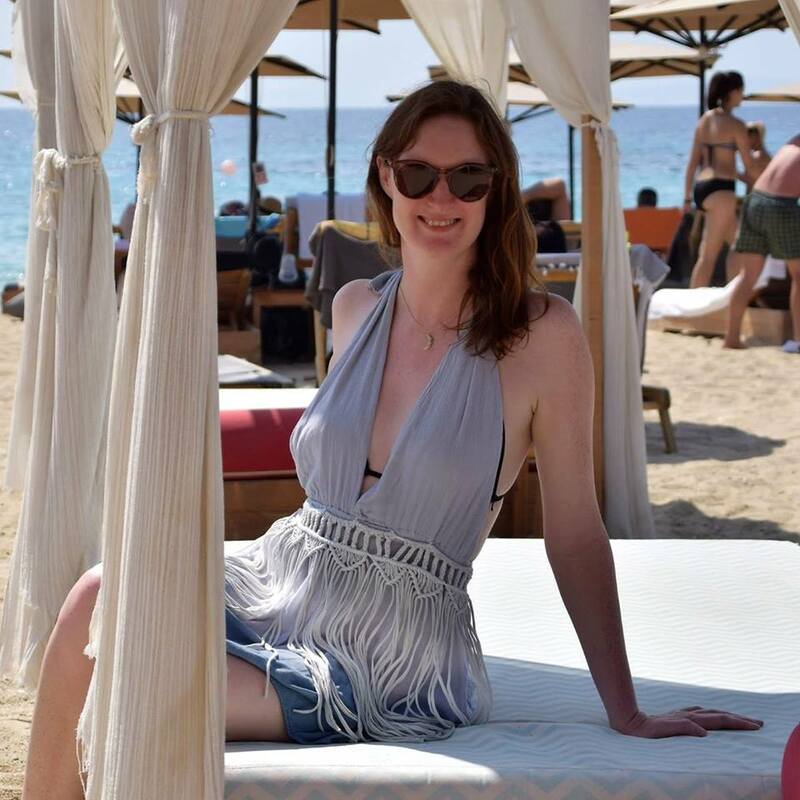 It’s such a relaxed atmosphere and great for people watching. 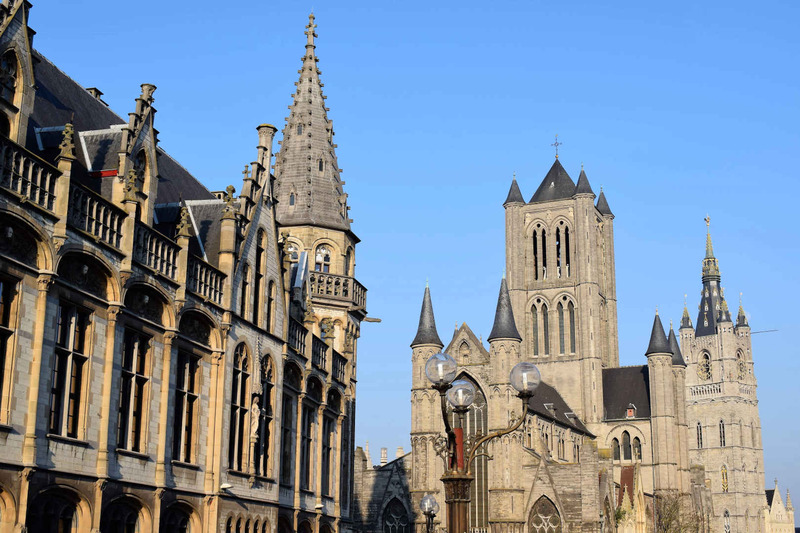 Spending a day in Ghent is easy as it’s compact and walkable. 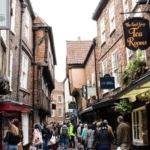 If you are staying overnight, try and stay in the historic centre for maximum convenience. Right in the heart of all the top places to see in Ghent is the recently renovated Hostel Uppelink, located in one of the city’s oldest buildings but full of all the modern fixtures and fittings you could need. One of Ghent’s best-loved hotels by travellers is the Ganda Rooms & Suites. This 18th century style townhouse on a quiet street in the city centre has elegant decor and a terrace bar with views of St Bavo’s Cathedral. Otherwise, there are plenty of Airbnb apartments within a 10-15 minute walking distance of the main sights. It’s a pleasant walk along the rivers and winding roads, where you will pass by the rainbow coloured riverside buildings. Ghent’s lively student scene means it is surprisingly edgy for such a historical city. 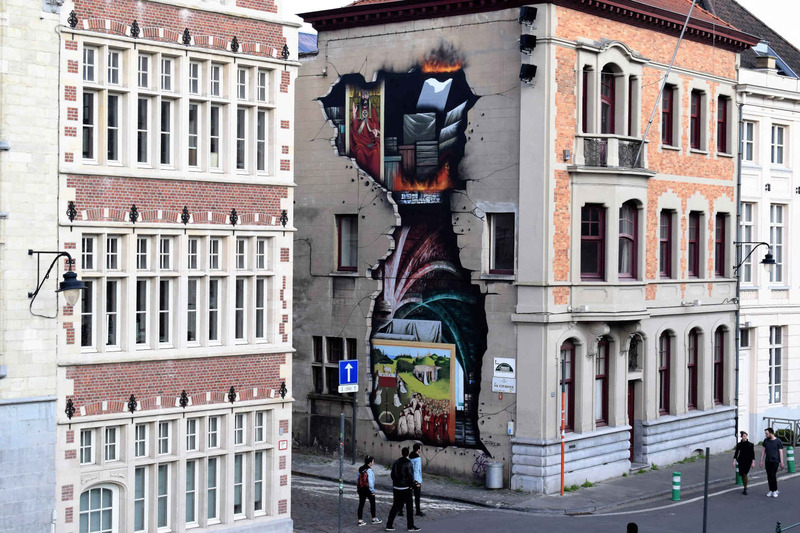 You may spot examples of street art in Ghent, such as the famous Graffiti Street. Ghent also loves a party. 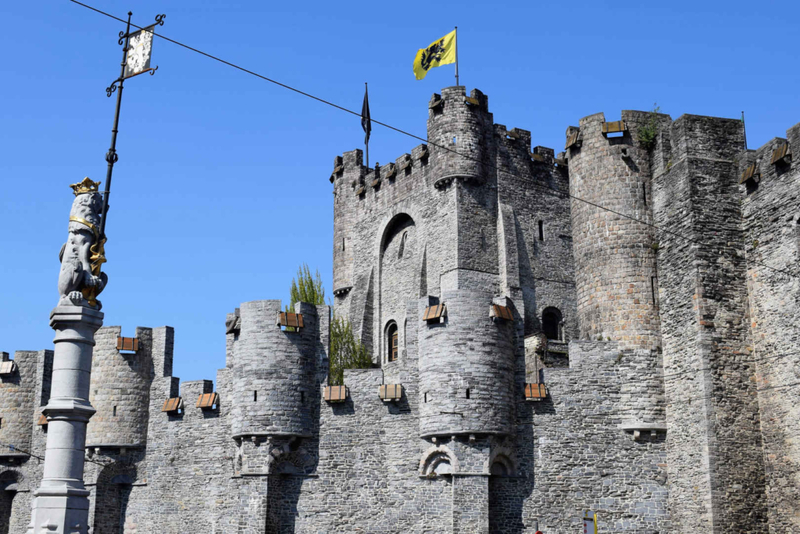 Every July, there’s a ten-day Ghent Festival, which takes over the city, as over a million people enjoy music and street theatre performances all day and all night. Ghent is also lovely in the winter, as the city is decorated with twinkly lights and puts on ice skating and a wonderful winter market. As you can see, there are so many things to see in Ghent in one day, you are sure to be charmed by this city. Its old world charm reminded me of York in the UK. Ghent is full of surprises, as the medieval towers stand alongside striking modern architecture such as the City Pavilion. There are plenty of peaks from which to take in this beauty of this city and its peaceful atmosphere. 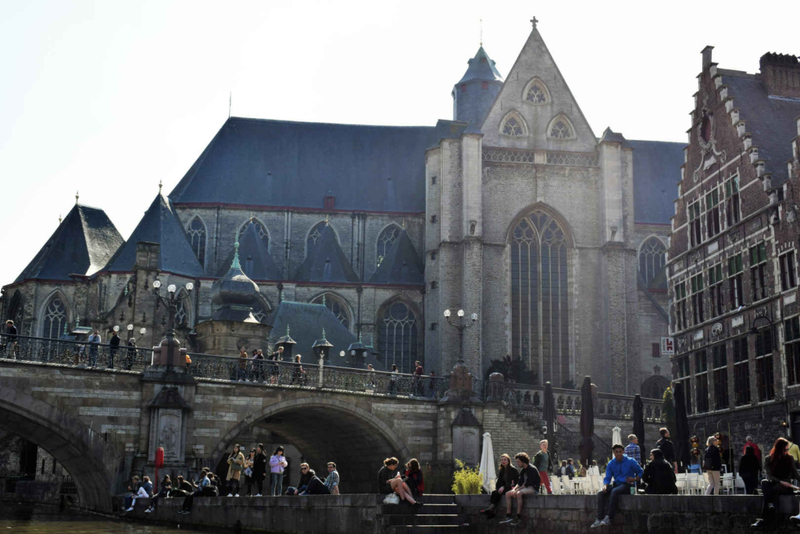 Make some memories on your gorgeous Ghent day trip and you may well find yourself planning your next visit here. Now, find out the cheapest way to travel from London to Belgium.